Another maker who is almost synonymous with frame locks is Rick Hinderer, and his XM-18 sports a lot of features that have become commonplace today. The first is a flipper opener, meaning you can use this tab at the back to deploy the blade. The lockbar is also enhanced with a stabilizing disc. When you’re disengaging the lock, the disc is designed to prevent overtravel or pushing the lockbar too far, which could cause premature wear. The final improvement is a removable steel insert on the lock face. Since titanium is softer than the steel of the blade, this insert ensures consistent lockup even after heavy use. Another reason for the XM-18’s continued success is the variety that is available. Both 3.5” and 3” blades are available (and even a 4” version – although that is called the XM-24), a multitude of blade shapes and grinds, and steels and finish options available to suit nearly everyone. The front scales of the knife can be dressed up with nearly any material imaginable, but you see them most often with different colors of G10. This is another design that has been continually improved over its lifespan to stay at the top of the game, and recent innovations like the new Tri-Way Pivot will ensure the XM-18 remains one of the preeminent frame locks in the industry. The Zero Tolerance 0560 series deserves mention here for many of the same reasons. 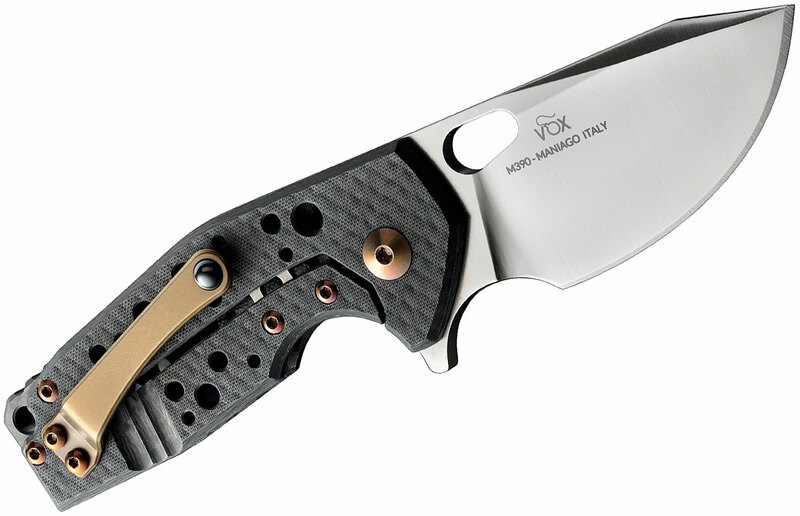 This highly-regarded Hinderer-designed flipper is closely related to the XM-18, featuring the same stabilizing disc and lockbar insert. The 0560 sports a deep-carry pocket clip and Hinderer’s “Slicer Grind,” both of which make it fantastic for EDC. The grind at the heel of the knife is thicker for durability when powering through cuts, but it gets thinner as it moves toward the tip, making for more efficient slicing and precise detail work. The materials and quality of these knives are spot on. The thing that makes this one of the greats, though, is that it is a knife for the people. The ZT0560 puts a highly refined design into a lot of hands thanks to the attainable price point. 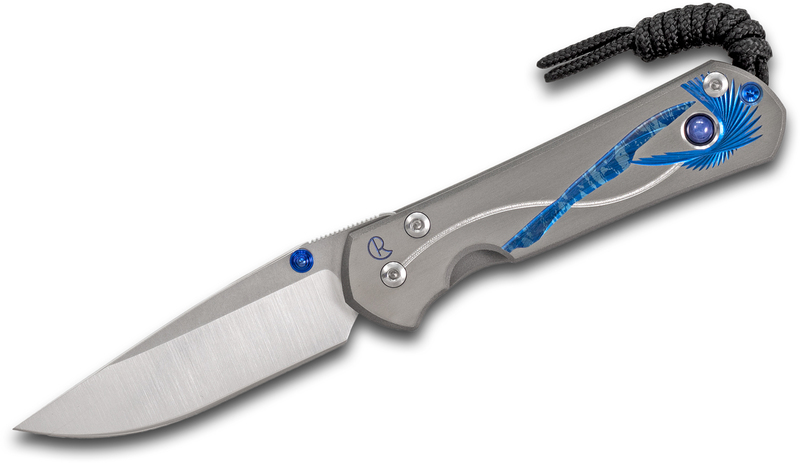 Next up is a collaboration between Ray Laconico and Kizer, called the Gemini. This knife was at the forefront of a new wave of high-end imports and impresses with tremendous precision and an astonishingly affordable price. The Gemini uses parts cut with a high-tech wire EDM machine. This method is slower than laser or waterjet but the payoff comes in the precision and tight tolerances that they can achieve. Final fit, finish, action, and sharpness of each knife is achieved entirely by hand. Construction aside, the Gemini is just an all-around great design. The S35VN blade is versatile and the contoured titanium handles make it very comfortable in use. The flipping action is superb. Next, we’re going to take a look at a few fantastic knives that have pushed the boundaries of the frame lock design with tweaks and improvements. 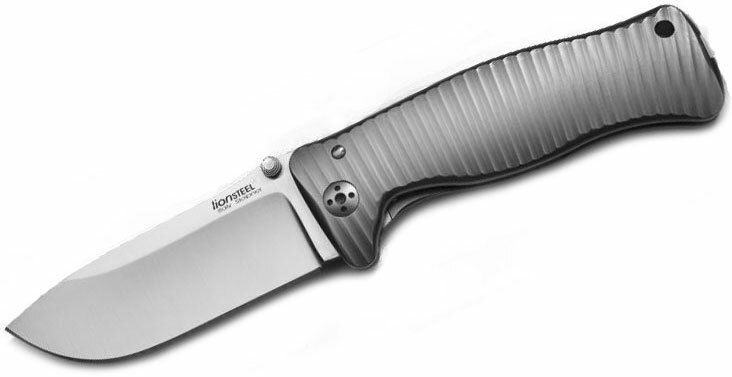 The first is the SR-1 by Lionsteel, which takes the frame lock formula and adds a few innovations to make it as strong as possible. First is a single-piece frame. Rather than two sides screwed together, the SR-1’s frame wraps around the spine, creating one integral monolithic piece of titanium for excellent stability. This complicates production, but the end result is stronger than any multiple-piece design could ever hope to be. We also see LionSteel’s patented Rotoblock. This enhancement allows you to screw down the stabilizing disc with a twist of your thumb. This prevents the lockbar from being disengaged and holds the 3.7” blade in an open position. Of course, there are plenty of options within the SR-1 lineup. The high-end versions are the one to have and feature a titanium body and 3.7” Sleipner steel blade, but you can also get them made from aluminum with D2 steel. 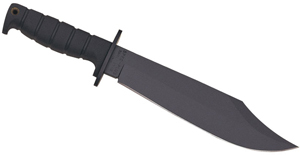 The smaller version of this knife is the SR-2, with a roughly 3” blade and all the same features of the larger knife. 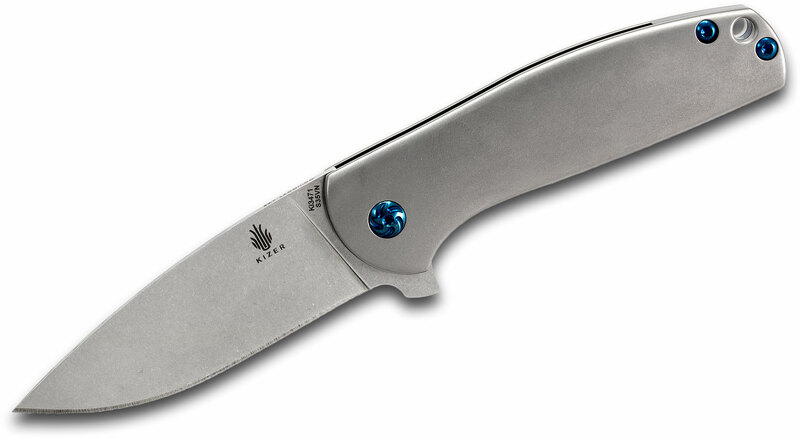 The opening of the blade is achieved via thumb stud, but if you prefer a flipper, you can take a look at the closely-related SR-11 and SR-22 series. No matter which version you choose, the contoured and milled pattern of the frames fill the hand nicely, and their robust build makes them some of the best hard use frame lock options out there. 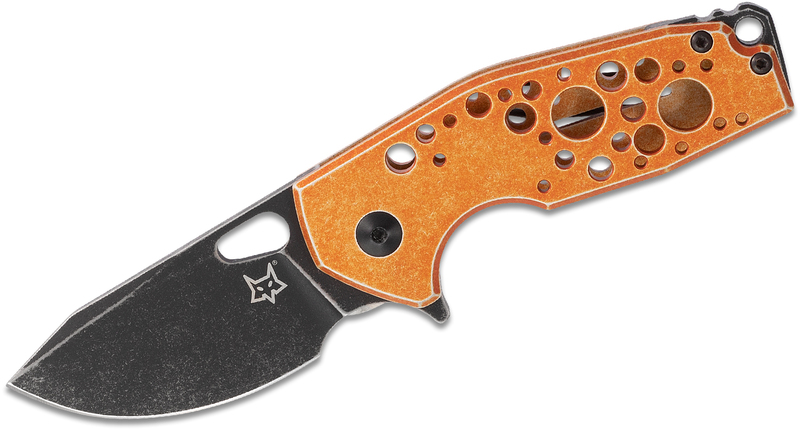 Next up is the American-made Kershaw Bareknuckle, whose lock puts a new spin on the frame lock. This model is based on the limited edition ZT 0777, which introduced the new Sub-Frame Lock mechanism. Rather than a full back frame with an integrated lockbar, the sub-frame essentially takes the full lock bar and transplants it into a separate handle material. This does a couple of things. First off, depending on the materials used, the knife can be made lighter than a full single-piece metal frame, without sacrificing any lock stability. Secondly, it opens up more aesthetic options for the back of the knife. Instead of a single texture, other materials can be used to set off the lock bar, such as carbon fiber, G10 or, in the case of the Bareknuckle, anodized aluminum. Add in a fine-grained Swedish 14C28N stainless steel blade, and this is a knife that can go the distance when the going gets rough. This is not the only Sub-Frame Lock knife on the market, and we see a lot more becoming available in the future, but the Bareknuckle makes the list for being based on the knife that started it all. 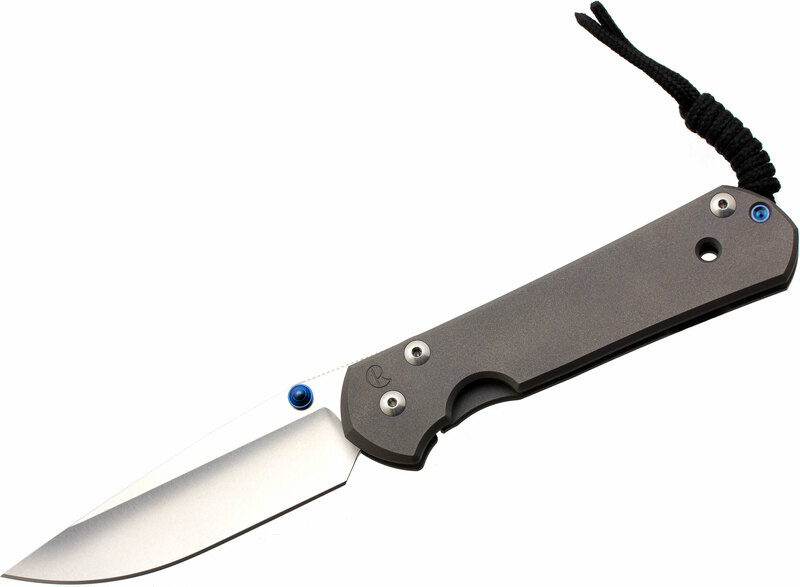 The final knife on our list is from Italy’s Fox Knives and it is called the Suru. There are two versions of this knife. 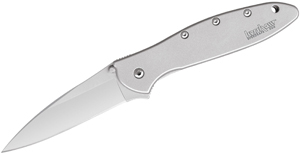 The base model features an aluminum frame and N690 blade steel, but that is not the version we want to focus on here. The real star is the carbon fiber version which took home the “Overall Knife of the Year” award at the 2018 BLADE Show. Turn the knife over and you will quickly see why. The frame of this knife is constructed entirely of carbon fiber, up to and including the lockbar itself. 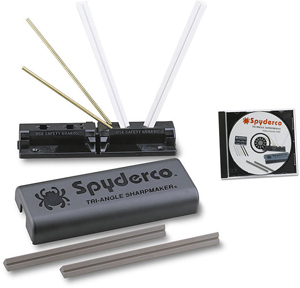 Other typical frame lock features can still be found here, including an internally-mounted overtravel arrestor, and the hardened steel lock bar insert that actually interfaces with the blade itself. The Suru is the first of it’s kind, but the novel construction does not come at the expense of usability. This is a very well thought out compact EDC knife. The full carbon fiber build makes it very lightweight, a mere 2.04 ounces, and the satin finished M390 blade offers plenty of edge retention. Also, thanks to a roomy finger choil, the Suru takes up minimal space in the pocket but still opens up to a full four-finger handle. Another nice touch is the sculpted titanium pocket clip with a black zirconium ball providing the retention. Furthermore, it looks great, with options for bronze or blue anodized hardware that each accent the black frame wonderfully. These are just a few of the iconic and innovative frame lock knives that have cropped up over the years. It was hard to whittle this list down to size, but that’s where you come in. Make sure to tell us what your favorite frame lock knife is down below in the comments.